We are delighted to announce that our first item available on CodeCanyon and available now for purchase! We hope you agree that we will help you to create great products at our end and in future, that will more count available with our store to find the best products to resolve your problems. What a start to August 2018! We struggled last month to create our first premium plugin as a business solution and we succed. As we know, WooCommerce is a best eCommerce solution nowadays to create small and medium scale online store with WordPress. But, when you are dealing with free items and services to get good clients then there is a 99% possibility that you will get spam visitors and end-users to download your free items. Yes, let me explain it! Websites like http://fakemailgenerator.com provide you a unique email ID for 24 hours. But, that will not run or receive any email then after. So, whether your customer comes to your site and signup (or done registration) with that email addresses then there 100% guarantee that any future newsletter from your end will not receive to actual customers. 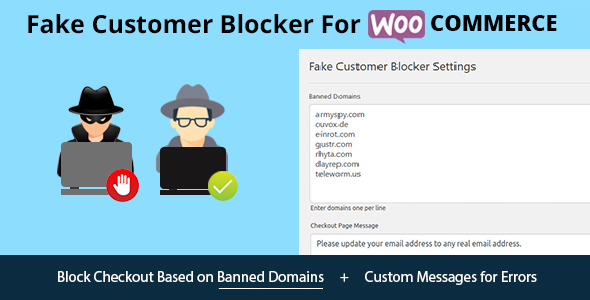 Fake Customer Blocker for WooCommerce – WordPress plugin not only work on the checkout page for WooCommerce order but that will give you the capability to block new registration with the banned domains. This is our very item available on CodeCanyon and we hope for more products in near future. Another good stuff by the team, we redesigned our ready-made template site to new custom design website. Now, you can easily find us and very useful information provided of our services. 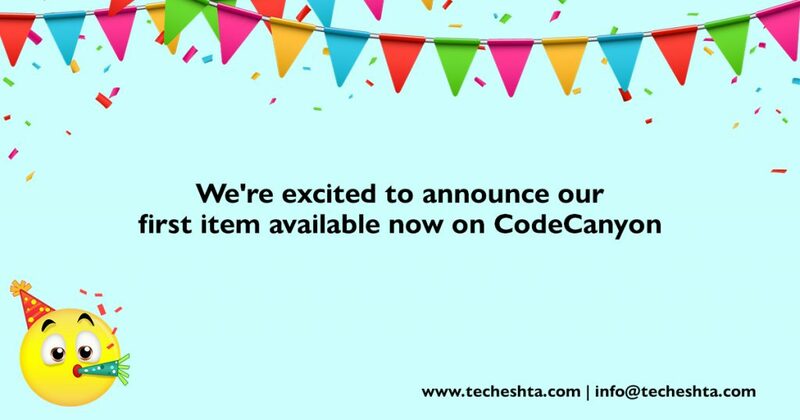 Let us know what you think about our first product – email us at info@techeshta.com for your valuable feedback.